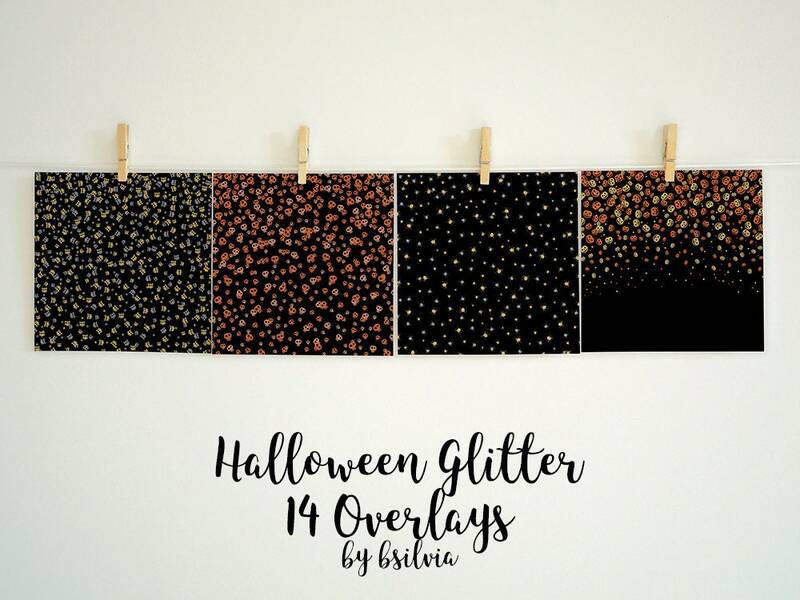 Great for digital scrapbooking, embellish Halloween invitations, spice up Halloween albums and more. 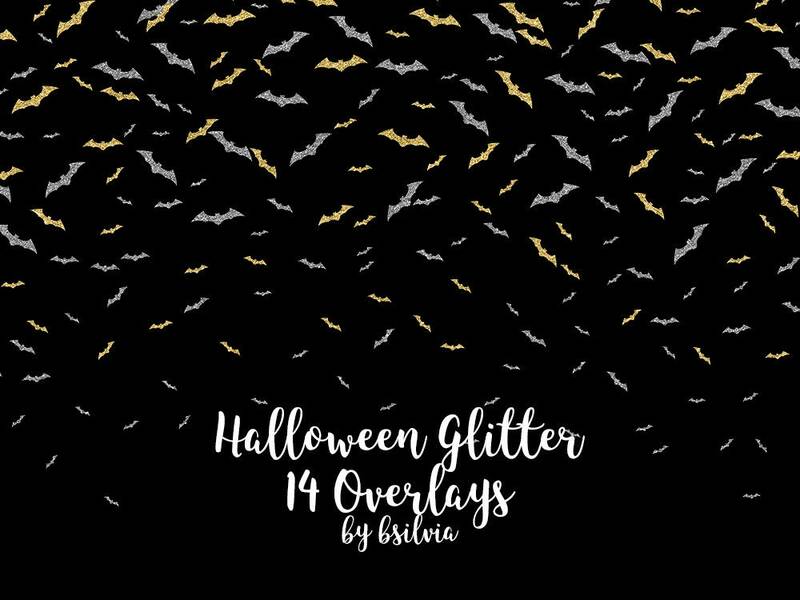 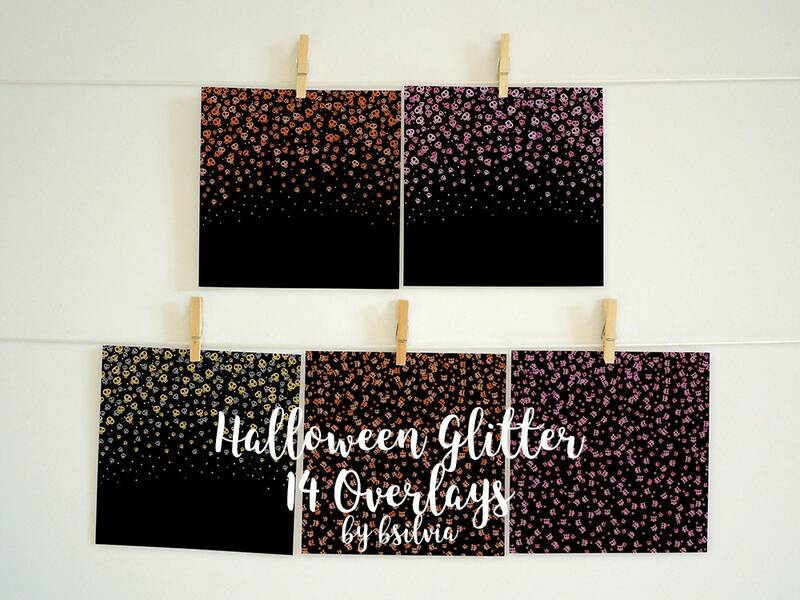 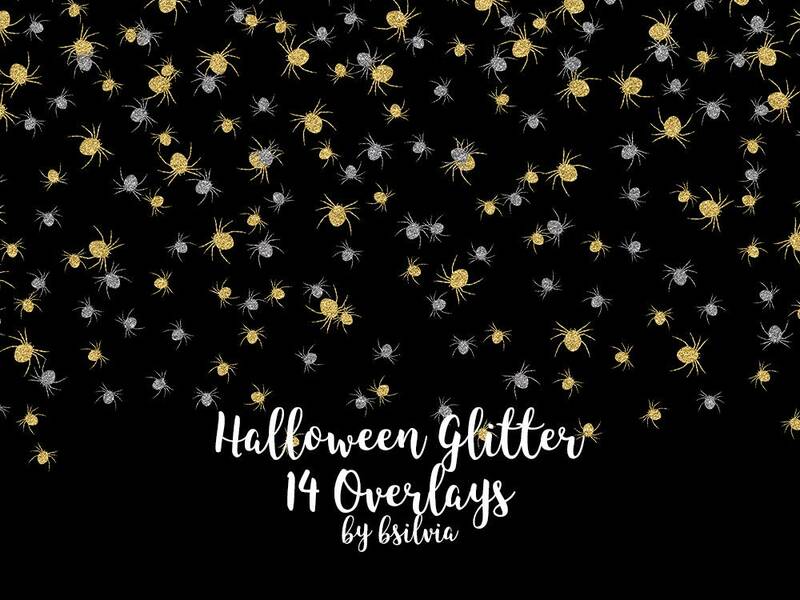 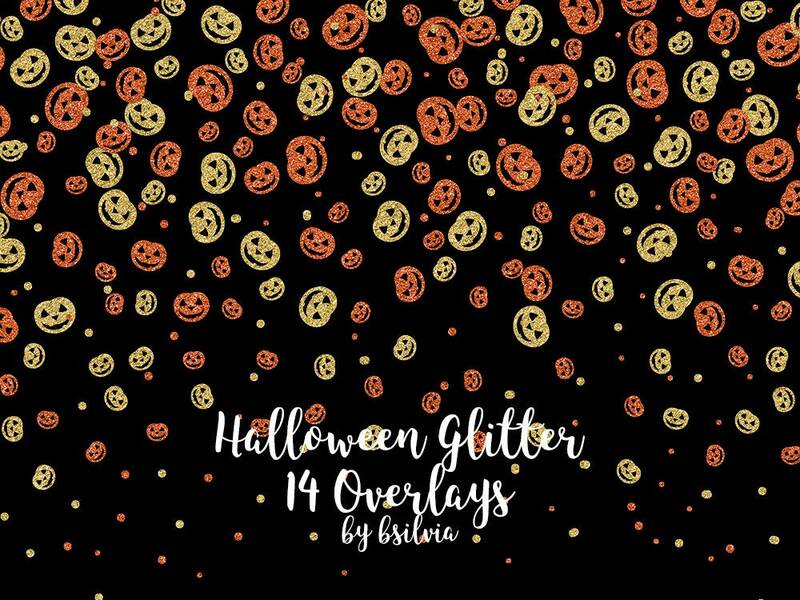 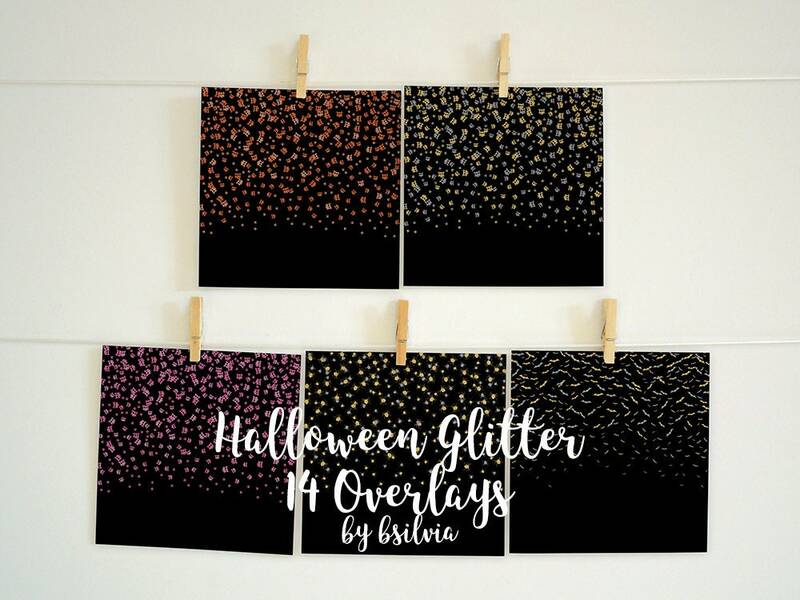 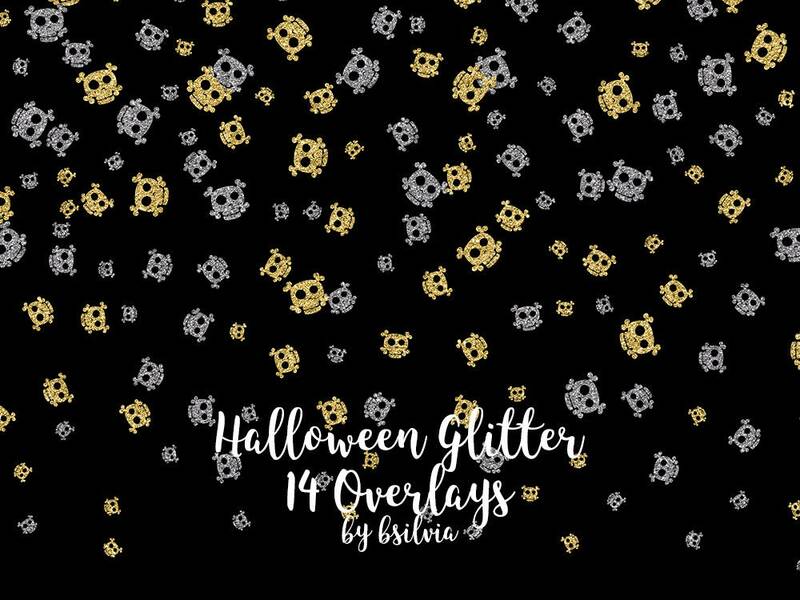 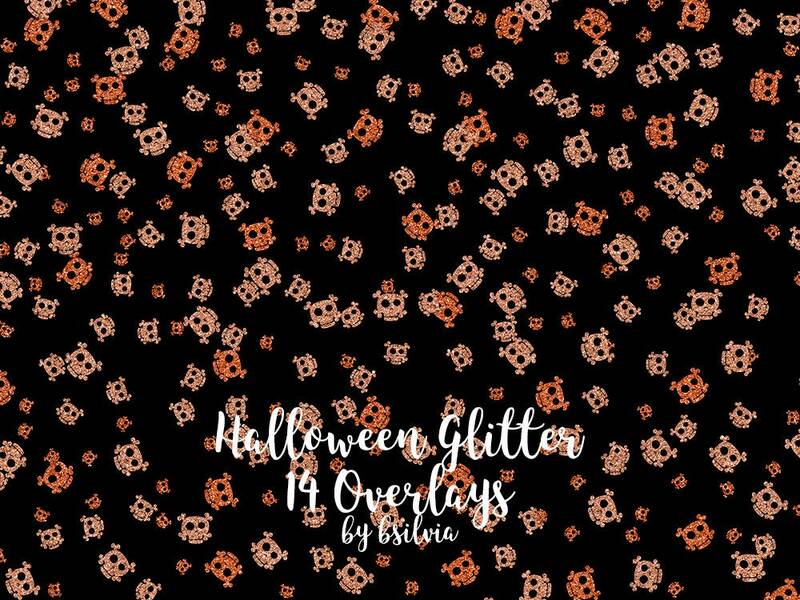 Halloween Glitter Overlays will work in any photo image editing software that work with layers (like Photoshop, Photoshop Elements and other). 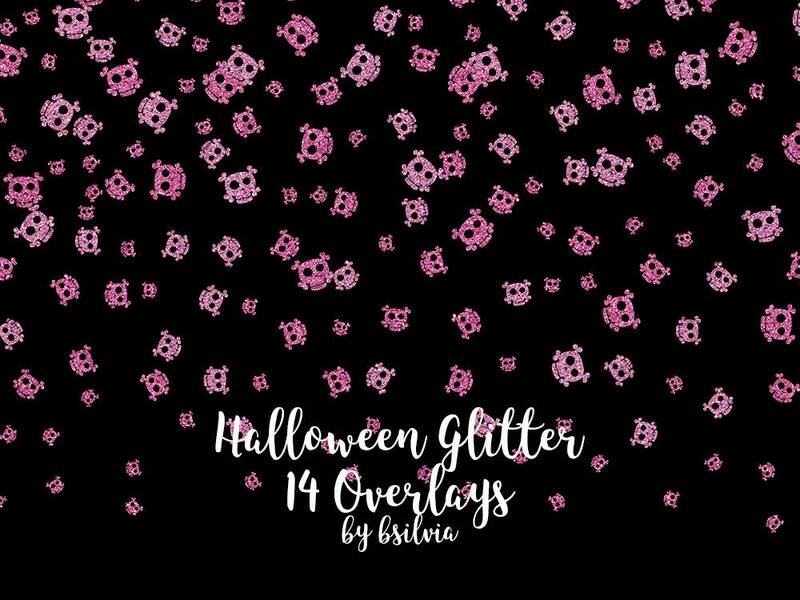 Pink glitter skulls, orange glitter skulls, gold and silver glitter spiders... and more.